Membership is on the rise once again, we would like to welcome our newest member Charlie Brown KD4CB from Columbia, SC. Charlie has been a ham for three years now and along with contesting enjoys WWFF and SOTA activation's. Welcome Charlie, we are happy to have you on our team! The Carolina's weekend is this upcoming weekend, be sure to get in on the action and support the great state of South Carolina!! Both North Carolina and South Carolina will be teaming up for a very special award to celebrate five years of working together. In addition to being in the slate of bonus stations, there are some additional perks offered to those that get these guys in their log. Working this bonus station (one QSO in NCQP, and one in SCQP – and submitting your log to each appropriately) puts you in a the hat for a very special drawing. The two state QSO Party committees are sponsoring a $200 ham radio store gift certificate to go to the winner. This is open to both In-State and Out-of-State Single-Ops and In-State Mobiles who submit logs to both North and South Carolina QSO parties. It will be a test of ability and endurance for both Marty and Dave to be QRV from two states over the one weekend. But they are up to it and looking forward to working everyone as a way to express their appreciation for everyone’s support and participation. Work call signs WN4AFP in Saturday’s SCQP and W4MY on Sunday in North Carolina QSO Party. We look forward to hearing you on the air! For the SCQP, WW4SF will be on the air with multiple ops as a bonus station and each valid contact with any station located in ABBEVILLE will be worth 50 bonus points. For more info about the SCQP, be sure to check out the SCQP website. Go Swamp Foxes! !, see you on the air! The annual meeting went very well this past January. There was good attendance and a fair amount of club business was talked about. The club voted in a new Treasurer, congratulations to Phil N7IR. We would also like to thank the outgoing Treasurer, Dave NJ4F for his dedication and hard work for the past couple of years. The remaining officer positions were voted on and the 2019 officers are the following: President: Frank KG4IGC, Vice President: Dave WN4AFP, & Secretary: Bill N4IQ. We gained two new members at the meeting, AC4Q Phil from Duncan, SC and also the SC Section Manager Mark N4UFP. Welcome to the club guys! We are very happy to have you both on our team. SFOTA 2018 Results have been posted, you can check them out here. The South Carolina QSO Party is Feb. 23rd 2019 at 1500z. Abbeville County is the Rare County this year. Abbeville county contacts are worth an extra 50 points. WW4SF and W4CAE will be running multiple bonus stations (250 points). If you have a mobile station, we'd love to have you on the air for this event. Dave will be working SO3R at N4IQ using the call WN4AFP which will be worth another 50 points. There is also a very special Chairmans award this year, for details, please check out the SC QSO Party website. We are looking for SFCG volunteers to be a bonus station (WW4SF) in the South Carolina QSO Party, if you are interested please let him know ASAP. Hello fellow Swamp Foxes! This has really been a great year for membership, since January we have added 7 new members and the year is not over yet!! I would like to announce the addition of our newest member to the roster, Kevin Broughton, K4KWB. He heard about us while working KG4IGC in the ARRL 10 Meter Contest. Kevin is retired from the Air Force and has been contesting off and on since obtaining his license in 1992. He enjoys SSB contesting and likes the idea of being contributing to a club score. Kevin, welcome to the club, we are happy to have you on our team! We would also like to remind everyone to mark your calendars for our annual meeting/dinner on Saturday, January 26, 2018 at the Lizard's Thicket in Lexington, SC at 3 PM. Frank KG4IGC has made reservations so if you plan to attend, please let him know so we can get a head count. As always, XYL's and guests are welcome. If you have a friend or a potential contester that you would like to bring along feel free to do so, they are welcome to join us! We are looking forward to seeing everyone, especially our newest members. The Lizard's Thicket is located on US-1 between I-26 and I-20, west of I-26 in Lexington, SC. Below is the address and phone number. The W4DXCC DX and Contest Convention (SEDCO) is September 21st and 22nd, 2018 Location: 410 Pine Mountain Road, Pigeon Forge, TN Phone: (865) 428-8350 Fax: (865) 428-5217 Click here for info on Hotel Reservations. Reservations for rooms are going fast so if you plan to attend, now is the time to reserve your room! The SFCG club like to thank Kevan Nason N4XL for organizing and presenting the Advanced Contest Classes. Both classes were well attended, very enjoyable and educational. We would also like to thank both the Dutch Fork Amateur Radio Club and Jim K9JDP for the use of their facilities. At this time we would also like to welcome our newest member, Gary Lyons W0GX. Gary has a very impressive background in contesting dating back to the 1970s and is currently putting together a new little Pistol contesting station. Welcome to the club Gary, we are pleased to have you aboard! Ahoy fellow Swamp Foxes! The membership keeps growing guys and gals, please welcome our newest member Pete Moyes AG3R From Taylors, SC! Pete is an active CW contester and heard about us at the Greer ARC from our very own Vice President, Dave WN4AFP. We are pleased to have you join our team Pete, welcome!! Just as a reminder, the Swamp Fox Contest Group (SFCG) & the and South Carolina DX Association (SCDXA) will be sponsoring another Advanced Contesting Class on Saturday, August 18, 2018. The address is 3056 Greenpond Rd, Gray Court, South Carolina 29645 and starts at 8:30 A.M. We would like to thank K9JDP for graciously opening his shack for the purpose of the class. For more details about the class, be sure to check out our Education page. Attention Swamp Foxes! We have a new member on the Swamp Fox Contesting team, please welcome Randy Sandstrom, N4SXX from Gaston, SC who heard about us via an invitation from N4XL to attend the upcoming contest class. Randy has been hamming for over 30 years, started with an FT-101B and a MFJ expandable whip of which he completed 10 meter WAS. We are very pleased to have you on our team Randy, welcome to the Swamp Fox Contest Group! The advanced contest class last weekend was a great success. It was very informative and motivational, and we would like to thank Kevan N4XL for presenting the class and also the Dutch Fork Radio club for hosting us. Kevan touched on several topics and taught us a lot of new tricks to help get both scores and rates up when contesting. Other subjects included station design, propagation, HFTA, & N1MM among other topics. If you were unable to attend, we are hoping to get another class scheduled for the fall. Not only was it a good class, but we gained two new members after the class was over! We would like to introduce John J. Miller N8EK from Jenkinsville, SC and also David Collins from Landrum, SC. We are pleased to have the two of you on our team, welcome to the SFCG! 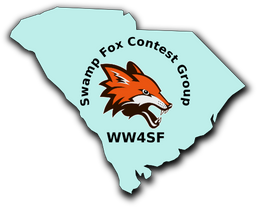 The Swamp Fox Contest Group (SFCG) and Dutch Fork Amateur Radio Group (DFARG) are sponsoring a Competitive Contesting class Saturday April 14th in Little Mountain, South Carolina. Its goal is simple. To help those already familiar with contesting improve their scores. To achieve that goal operating techniques, station design choices, and contest radio characteristics will be presented. The class will be presented by Kevan N4XL. For more information please go to our Education Page. Ahoy Swamp Foxes! 2018 is off to a bang with the addition of our two newest members, Dean Lisenby KK4ZMK and Ed Overcash WB4HRL. Dean is a member of the Florence ARC, and is new to contesting. He heard about us thanks to an email from Kevan N4XL to the Florence ARC about the upcoming contesting class later this year. Dean has expressed a desire to learn all about contesting, and he has come to the right place! Ed is from Spartenburg, SC and is a former attorney and magistrate. He has had his ham license since age 13 and is just getting back on the air after a extended hiatus from ham radio due to an extreme work load. He tells us that now that he is retired at the young age of 66, he has purchased a new rig and antenna and is excited to get back on the air! Dean & Ed, we are very excited about having the two of you as the newest additions to the Swamp Fox team, welcome! The North America QSO Party is this weekend, starts 1800z Jan. 20 thru 0600 Jan. 21st. If you would like to be on a team, please let WN4AFP before the start of the contest. Lets get out there and make some noise this weekend, Go Swamp Foxes!! More information and rules can be found on the NAQP homepage. One last reminder for everyone to mark your calendars for our annual meeting/dinner on Sunday, January 28, 2018 at the Lizard's Thicket in Lexington, SC. If you have a name tag, please wear it so everyone knows who you are. Reminder to all club members please remember to pay your membership dues of $10.00, annual SFCG dues should be paid by March 1. Dues may be paid by cash or check mailed to our Treasurer Dave NJ4F or you may pay by Paypal here. PLEASE NOTE: If you are paying your dues via PayPal, please be sure to use the friends mode, not the business services mode. You may also pay dues at the upcoming meeting, see Dave, NJ4F. Your annual contribution is greatly appreciated and helps cover expenses such as website fees, QSLs and postage, education and sponsorship's. This week is the School Club Roundup which runs from Monday, Oct 16 thru Friday, Oct 20. Students from across the country will be on the air in the afternoon after school so please give them some calls! Self spotting is allowed, look for the different schools on the spotting networks. Please listen out for N4SMS, Schofield Middle School in Aiken SC. We also have the Dubose Middle School Radio Club K4DMS headed up by Alene Wilkens KG4NKD here in the low county so keep an ear out and lets give these guys some support! At this time we would also like to welcome our newest member, Kevan K4XL. Kevan is a top tier contester and a great mentor. He likes to participate in most of the major contests and is an excellent cw operator. Welcome Kevan, we are pleased to have you on our team and look forward to working with you! We would like to remind everyone to mark your calendars for our annual meeting/dinner on Sunday January 28, 2018 at the Lizard's Thicket in Lexington, SC. Frank KG4IGC has made reservations so if you plan to attend, please let him know so we can get a head count. As always, XYL's and guests are welcome. If you have a friend or a potential contester that you would like to bring along, feel free to do so, they are welcome to join us! We are looking forward to seeing everyone, especially our newest members. The Lizard's Thicket is located on US-1 between I-26 and I-20, west of I-26 in Lexington, SC. Below is the address and phone number. For those who are planning on participating in the Solar Eclipse QSO Party listen out for our club call. Frank KG4IGC has obtained permission from Dave NJ4F to put WW4SF on the air for this rare event. Plans are to operate 10-160 meters and possibly 6 meters as well. We are looking forward to working everyone who is participating in Solar Eclipse QSO Party! Hope to hear some of our fellow Swamp Foxes on the air today! Election results are in and the club has spoken! Frank KG4IGC has been elected as President through December 2017, when we will hold our annual elections for the coming year. Frank will also be working on getting our newsletter running again so we will be able to keep everyone up to date with what is happening in the club. We will be having a meeting in the near future, most likely at our usual place, The Lizards Thicket . A date has NOT been set as of today's date but will be announced as soon as the club can agree on a meeting date. We would like to thank our members for your participation in the special election. NOTICE: Due to on going health problems, our President, Tom W1TEF has had to step down. The Swamp Fox Contest Group would like to thank Tom for taking on the position of President and also for everything that he has done for the club. We wish him well and hope that he has a speedy recovery. The club is currently holding special elections as per the club constitution. If you have someone in mind that you would like to nominate for the position of President, please direct your nominations to the Yahoo group website. We have also received a request from Robert AJ5E for some help activating the H.L. Hunley on Museum Ships Weekend. The event runs (local time) Fri June 2nd 8pm to Sun June 4th 8pm. There are still a few gaps in the schedule if you are interested in operating. There are two rigs available, working mostly phone. There is the possibility of operating CW or PSK if there is interest. This operation will be held within sight of the building that houses the H.L. Hunley. If interested, please contact Robert AJ5E . There is also a signup sheet for those who may be interested in operating off of the Yorktown and/or the Clamagore here . Ahoy fellow Swamp Foxes! First off, we would like to officially welcome in our new club officers who were elected in by unanimous vote of the members present at the club meeting on Jan 28, 2016. Our new lineup of officers includes some really great guys who we feel will give great leadership and guidance to the club. Congratulations to President W1TEF Tom Francis, Vice President WN4AFP Dave Edmonds, Treasurer NJ4F Dave Fuseler, and Secretary N4IQ Bill Chartier. Reminder to all club members please remember to pay your membership dues of $10.00, annual SFCG dues should be paid by March 1. Dues may be paid by cash or check mailed to our Treasurer Dave NJ4F or you may pay by Paypal here. Your annual contribution is greatly appreciated and helps cover expenses such as website fees, QSLs and postage, education and sponsorship's. -This weekend, the Swamp Fox Contest Club will be competing in the CQWW RTTY WPX, which starts Feb. 11 at 00:00z through Feb. 12 23:59z. CQ requires a minimum of four logs in order for a club log to be listed. -From Dave WB5NHL: Feb. 13th-17th is the ARRL School Club Roundup. There will be schools from all over the country elementary through universities on the air trying to make as many contacts as possible. Individuals are welcome to participate and look for schools to contact. Self spotting IS ALLOWED. This is a great way to find schools to contact. Only 6 hours operation is allowed in any 24 hours and 24 hours total operation for the week. So.....the best time to catch the younger kids is from about 2pm to 6pm LOCAL TIME i.e. "after school". The Aiken Schofield Middle School call sign is N4SMS. We normally operate during the above times starting on 20M switching to 40M. We also have the Dubose Middle School Radio Club K4DMS headed up by Alene Wilkens KG4NKD here in the low county so keep an ear out and lets give these guys some support! -The South Carolina QSO Party is February 25, 2017, It begins at 10:00 am and ends at 8:59 pm. We are currently looking for a few more guys to operate as the WW4SF bonus station, if you are interested please contact Dave WN4AFP before Feb. 25. We also still have awards to sponsor... If you wish to sponsor an award please visit www.scqso.com. -The North America QSO Party, RTTY is also on Feb 25 1800Z to 0559Z Feb 26, 2017 for you RTTY guys. If you are interested in team competition please contact KG4IGC Frank before Feb. 25th so he can get the team registered. From the rules: "Teams must consist of from two to five Single-Operator stations whose individual scores are combined to produce a team score. Although clubs or other groups having more than five members may form multiple teams, there are no distance or meeting requirements for a team entry". -For those of you that are having NPOTA withdrawal, Tom W1TEF and Gil KS4YX have recommended everyone to check out the World Wide Flora and Fauna project. Lastly, if you have not got into the SFOTA competition, you are missing out on all the fun! Come check out the rules and get in on the action, this runs all year long and the competition is going to be fierce! The Swamp Fox Contest Group would like to announce a new and exciting inner-club competition called "Swamp Foxes On The Air" (SFOTA). It has been designed to promote on the air activity and perhaps some fierce and fun competition among the SFCG members. This competition starts on January 1st, 2017, runs for the calendar year and has six different categories that members can compete in. The categories are: Most Active, Most Contest QSO's Most Improved, Most CW QSO's, Most Digital QSO's and Most SSB QSO's. As you can see, there is something for everyone to compete for so come join the fun!! The complete rules for the competition can be found here. We would like to remind everyone to mark your calendars for our annual meeting/dinner on Saturday, January 28, 2017 at the Lizard's Thicket in Lexington, SC. We will be holding general elections for the club officers so please start thinking about potential candidates. Dave NJ4F has made reservations so if you plan to attend, please let him know so we can get a head count. As always, XYL's are welcome and we are looking forward to seeing everyone, especially our newest members. The Lizard's Thicket is located on US-1 between I-26 and I-20, west of I-26 in Lexington, SC. Below is the address and phone number. We have a new member from Surfside Beach, SC, please welcome Al Miller NE4EA. He is new to contesting but has had some experience operating Field Day in Tampa Florida and had lots of fun. He enjoys both SSB and CW, so should fit right in! Al, we are happy to have you, welcome to the club! Attention Swamp foxes! The ARRL has recently made a change in the rules for club competition. Whenever we enter a contest sponsored by the ARRL, we are now required to submit a file with the list of operators and their grid square. Dave NJ4F has asked that all members send him their grid square so he can update the roster. For more information on this rule change, click here. In other news, Dave WN4AFP has come up with a new and exciting idea to encourage inner-club competition called the "Swamp Fox On The Air Competition". The idea behind this is to spark up member participation and also some great inner club rivalry. We now have a development team working diligently on making this happen for 2017 consisting of Dave WN4AFP, Tony K4AMA, Frank KG4IGC, and Dave NJ4F. Rules for this competition will be announced sometime in the near future so stay tuned!! We would also like to welcome out newest member, Hans Helland WU0B from Columbia, SC. Hans has also operated from Chad, Africa as TT8HA from 2007-2008. He has considerable experience in contesting and comes to the club with a long list of awards! His mode of choice is Voice but is looking to get more involved in the digital modes. Hans we are delighted that you have applied for membership and are very excited to have you on our team! We have some new educational opportunities for our club members! Anyone interested in brushing up on your CW, Dave WN4AFP Dave has created a user group on the Learn CW Online website. So far we have four members in the user group: Swamp Fox Contest Group, all members are welcome to join. For those of you in the upstate, two of our members Gary W4EEY and Bill N4QI are teaching a ten week course for anyone wanting to upgrade their ticket to General Class. Classes begin on September 13, 2016, 6:30 PM at the Victor Park Gym Classroom, 108 South Line Street Greer, SC 29651. Registration is requested, to register contact Gary Wise, W4EEY . Last but not least, the Contesting Basics Class being held by our very own President Dave NJ4F is just around the corner this upcoming Saturday, August 6th. If you are planning to attend, the class is being held at the Lowcountry SC Chapter of the American Red Cross 2424-A City Hall Lane, North Charleston, SC 29406. Registration is required, and all are invited to attend. Contact Dave NJ4F for more information. We also have a new member among us, please welcome Tony Austin K4AMA to our team. Tony prefers CW and digital modes and has plenty of contesting experience. From the looks of his very impressive 3830 page, he enjoys the State QSO Parties of which he will be in good company! Tony, welcome to the club, we are very pleased to have you! We would like to remind everyone of the Contesting Basics class on Saturday, August 6th being held at Lowcountry SC Chapter of the American Red Cross 2424-A City Hall Lane, North Charleston, SC 29406. Members are encouraged to attend as we could use your contesting experience to help educate potential contester's. We would appreciate if you would help spread the word about the class with any other hams that you know that might be interested in contesting and any other local clubs that you may belong to. We also happy to announce that we have two new members, please welcome N4UQM Jeff and W4CAN Craig. Jeff is a member of the Columbia ARC, enjoys SSB contesting, mobile operating, and likes to operate on the digital modes. Craig is a fairly new ham, licensed in 2014 and a member of the Trident ARC here in Charleston. He is new to contesting very interested in the digital modes. Welcome to the best contest club in the state of South Carolina guys, we are very happy to have you both on our team! We would also like to give a long overdue mention about two of our long standing members, WN4AFP Dave and W4STR Russ. Both of these guys recently passed their extra exam, congratulation guys! Well, the contesting class has come and gone, and Dave NJ4F reports that overall it went well. There were about 25 students give or take who attended. The class took a bit longer than anticipated, so Dave and Kevan are working on streamlining the curriculum for the next time. We have two new members that we would like to introduce to the club, please welcome Gary Wise, W4EEY from Greenville and Jeff Johnson N4UQM from Columbia, SC! Gary got back into contesting two years ago and has a pretty interesting radio history, he used to work for the Voice of America until his retirement in 2008. He is a member of the Greenville & Greer Ham clubs, NCDXA, and the SCDXA. Gary is also a registered ARRL & W5YI Instructor. Jeff is a Retired USAF tactical and special operations communicator and now works in the field of cyber security. He enjoys digital modes such as RTTY, PSK, JT69 and JT9. He is also a member of the CARC. Guys, we are excited to have you on our team Gary and Jeff, welcome to the club! There will be a club get together on June 4, 2016 at 3 PM at the Lizard's Thicket in Lexington, SC located on US-1 between I-26 and I-20, west of I-26 . Below is the address and phone number. Please let Dave NJ4F know if you will be able to attend so he can get a final head count, and as usual, XYL's are very welcome to attend! Well fellow Swamp foxes, our membership continues to grow with the addition of our very first ham family! Please welcome Tammy N4TAL, Ronnie W4RWL and their daughter, Sarah KJ4UFA from Elgin, South Carolina. Tammy and Sarah also have the honor of being our first YL's in the club! Tammy is the ARRL Public Information Coordinator for SC and has recently become interested in contesting from her activities with the ARRL's National Parks On The Air year long event. Ronnie is the former President of the Columbia ARC prefers voice modes, rag chewing, and building homebrew projects. Sarah is new to ham radio, but enjoys voice modes, is fresh out of college and currently studying to upgrade to General. Welcome to the club guys, we are pleased to have you as our first family membership! On April 23, 2016 our President, Dave NJ4F has been invited to speak at the the Anderson Radio Club's 50th anniversary. The invitation was extended by the Margie Spangenberg, KK4AGN, who is the Secretary, Newsletter Editor, and 50th Anniversary Event Chair of the ARC. It’s anticipated that a large attendance of licensed radio operators from SC, GA, and NC , a number of Scouts from the SC Blue Ridge Council and several invited special guests from ARRL will be at the event. Two of the key speakers on the program will be Dr. James Boehner N2ZZ, Director, ARRL Roanoke Division and Dr. Marc Tarplee N4UFP, the SC ARRL Section Manager. We would also like to remind everyone of the upcoming Contesting Basics class on Saturday April 30th at 9 AM. All members are invited to attend as are anyone outside of the club that is interested in learning about how to get started in the world of contesting. Information about the class can be found here. 2016 is already proving to be a very busy year! So far this month we have voted in three new members to the club. Please welcome Loyd Van Horn W4LVH from Mt. Pleasant, SC, Marc Tarplee N4UFP from Rock Hill, SC and Joe Avampato W8DKR from Fort Mill, SC. Loyd W4LVT is a very active contester with numerous awards acquired from his many years of contesting. His primary interests in contesting are voice and digital modes. Marc of course needs no introduction, we all know him as our ARRL Section Manager for SC. Some of Marc's interests include CW operation, VHF/UHF weak signal operation, 160m operation, design and construction of antennas, kit building, DX'ing and of course, contesting. Joe is a Master of Engineering, PE,(ret) and Life Sr. IEEE and former NOAA officer (LTJG). He heard about us at the hamfest and is new to contesting, and enjoy's bicycle mobiling and DXing. Guys, welcome to the Swamp Fox Contest Group, we are very pleased that you have joined our team. It was really nice to see quite a few members at the Charleston Hamfest last weekend. We had a few folks who were interested in contesting and picked up the flyer that Dave NJ4F made up, of which so far we have had one new applicant. Alan W4ANT did a short presentation on contesting for the club, and from what we hear, it was well received. In other news, Dave NJ4F is currently working with Kevan N4XL on putting together an educational presentation aimed towards beginner level contesting. Dave spoke with the new President of the Columbia ARC Andrew Haworth KK4DSD at the Charleston hamfest, and they are working on procuring a room in the Columbia area to hold the class. Nothing is set in stone yet for a date, but they are aiming for sometime toward the end of April. As soon as the details are ironed out, the information will be provided to the club. Dave WN4AFP and his team are working hard to spread the news of the upcoming South Carolina QSO Party. For those of you who might not have heard, the date has been changed to coincide with the North Carolina QSO party and is now known as the "Carolinas Weekend". The new date and time will be February 27 1400z through February 28 0059z. It will be followed by the NCQP February 28 1000 EST to 2000 EST sponsored by the Raleigh Amateur Radio Society. Once again, the club station WW4SF will be one of the bonus stations for the SCQP. If you are interested in being a bonus station operator, contact Kevan N4XL for scheduling. Details for the upcoming SCQP can be found here. Well, another amazing year has come and gone and our club is active as ever and growing in popularity around the state. We submitted scores in at least 23 contests as a club with three or more participants and at least a dozen or so with one or two club members this year. We also have a few members taking part in the CWops contests Membership is on the rise with nine new members in 2015. It is really awesome to see how the club has taken off in the past two years, and is far beyond what the founding members ever expected. We have also gained the support of the SC Section Manager Marc Turplee, N4UFP and the Roanoke Division Director Dr Jim Boehner, N2ZZ in spreading the word about the SFCG! Dave, NJ4F has taken on the task of writing a monthly newsletter for the club called "Tales From The Swamp". He will be rehashing the activities, conversations, awards, and anything else that happens to come up each month. This will be sent to our members via email, and will also be available on this website in the menu bar under "Club Newsletter". We are starting the year off with the announcement of another new member, please welcome Tom Glaab, AJ4UQ from Charleston, SC. Tom is a well known member of both the Charleston Amateur Radio Society and the Trident Amateur radio club. From what Dave NJ4F tells us, Tom is very active in his kid's school projects involving robotics and other events. He is also a seasoned and active QRPer so it looks like you peanut whistle guys are going to have some heavy competition coming your way! Tom, welcome to the group, we have a great group of guys here and we are happy to have you on our team. We would like to also remind everyone about the upcoming annual meeting on January 31 at the Lizards Thicket in Lexington, SC at 3 PM. We will be holding annual elections so if you have someone in mind that you would like to nominate for one of the club officers, be sure to speak up. If you are unable to attend the meeting, you may also cast your nominations in the Yahoo group so they can be voted on at the meeting. 2016 looks to be an exciting year for the SFCG, things are already starting to hop with the start of the winter contest season and the upcoming South Carolina QSO Party in February. We would like to take this opportunity to thank our members for making the SFCG a success and a very noticeable force in the contesting community. We hope all of you have a very happy and prosperous New Year! Attention Swamp foxes: It has been decided that the next quarterly meeting previously scheduled for October 31, 2015 at 3:00 has been cancelled. We look forward to seeing everyone at the next meeting which will be scheduled in January for annual elections. As soon as everyone agrees on a date, that information will be posted. In the meantime, have a happy and safe holiday season! We would like to take this opportunity to welcome our newest member to the Swamp Fox Contest Group, Tom Lufkin, W4DAX. Tom is from Goose Creek, SC, a lifetime ARRL member, and has been actively hamming since 1972! He has been instrumental in bringing new hams into the community for years now and is the founder and past President of the Trident Amateur Radio Society. Tom is relatively new to contesting, but he has expressed his desire to learn more about it. His favorite mode of operation is CW, and he spends much of his on air time rag-chewing on HF and loves working special events. Tom, we are very pleased to have you on our team and look forward to working with you in the upcoming winter contest season, you are going to have a blast! Next order of business, please mark your calendars for the next quarterly meeting October 31, 2015 at 3:00. The meeting will take place at our usual location, the Lizards Thicket in Lexington, SC located on US-1 between I-26 and I-20, west of I-26 . Below is the address and phone number. Please let Dave NJ4F know if you will be able to attend so he can get a final head count, and as usual, XYL,s are very welcome to attend! This months get together in Lexington at the Lizards Thicket in Lexington proved to be one of our better meetings. The turnout was awesome , and the comradery was just short of spectacular. We had the pleasure of introducing a few guests, Gil KS4YS brought along a new ham with the contest itch Tom KK4CEW and Tom W1TEF introduced us to Ronnie (W4RWR) and Tammy (N4TAL) Livingston. Ronnie is the President of the Columbia ARC and Tammy is the SC ARRL Public Affairs Coordinator. We got to see some new faces at the get together, there was Dave WN4AFP, Andrew KB9WHV, Dave WB5NHL and Kevan N4XL. On the business side of things, there was discussion about implementing dues next year to help fund the club, a mention of the upcoming annual elections in January, and the club logo. We also discussed having a file section on the website, following up on the club shirts, and 2015 South Carolina QSO Party, Dave WN4AFP is still looking for available ops for mobile stations so if you can activate a much needed county, please contact him ASAP. As usual, the food and service was fantastic and everyone enjoyed themselves. We would like to thank everyone for making this meet and greet a success , we look forward to seeing you again at the October 31, 2015 meeting! Results List. His contesting experience speaks for itself, as he has won first place SOLP in multiple ARRL and CQ contests. Dave, we are honored to have you as a member, welcome to South Carolina's finest contesting team! Today we welcome our newest member to the Swamp Fox Contest Group, Dave EsLinger K4DLE from Summerville, SC. Dave just recently got his ham ticket of which he has upgraded to General class and has been spending his time working DX on SSB. He is a member of TARC and has been busy building his first ham radio station. Dave has been being mentored by our very own Vice President, Alan W4ANT and has already had his first taste of contesting in the ARRL Rookie Roundup. From what we hear, he did did very well and is very excited about getting more experience with contesting and learning about some digital modes. Dave, welcome to the club, we look forward to working with you and are happy to have you on our team! Please mark your calendars for the next get together August 16, 2015 at the Lizards Thicket located in Lexington on US-1 between I-26 and I-20, west of I-26. Dave has made a reservation for our usual room at 3:00 PM . All club members are encouraged to bring your XYL. If you plan to attend, please let Dave NJ4F know so he can get a final head count. We look forward to seeing you there! For future reference, we are looking at possibly meeting on a quarterly basis throughout the year. Once again, the meet and greet at the Lizards Thicket in Lexington was very enjoyable. We had good attendance and got to meet some new members plus a couple of the guys who couldn't make it last time. Several topics were covered, including the Yahoo group, the Radiotelegraph FCC Commercial License, and the upcoming SC QSO Party. We also touched base on the SFCG QSL card design, upgrading the club website, and mentoring potential new contesters. In the end a good time was had by all, and it was in agreement that we should look at the possibly of meeting on a quarterly basis. Membership continues to grow with the addition of three contesters, two from the low Country, and one from the upstate. It has been extremely satisfying to watch our team grow the past year or so with the addition of some of the finest contesters in the state. In saying that, we are pleased to introduce of our newest members, Robert Wilhite KV4LV, Lewis Cheek N4CO, and Bob Boroughs KG6MC. Robert is from Charleston SC where he has been busy assembling his first HF Station and working DX from the old Navy base. He heard about us from Alan W4ANT's TARC presentation and is new to contesting. Lewis is from Beaufort, SC and has been a ham since 1965. He started contesting back around 2003 and set up a multi op three position station under his old call . Since moving to Beaufort, he has been working a few select contests a year. Bob is from Simpsonville, SC and has been a ham since 1960. His favorite mode is CW, and is very active in the SKCC. Bob tells us that he works 4 or 5 big contests per year and participates on a casual basis with several more. 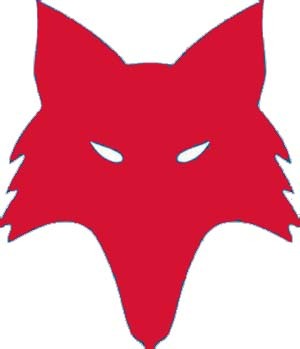 Guys we are excited to have you on our team, welcome to the Swamp Fox Contest Group! Well folks, the membership keeps climbing, we are now up to 21 members! Please welcome Andrew Chaloupka KB9WHV from Hanahan, SC. Andrew heard about us from the presentation at one of the recent TARC (Trident Amatuer Radio Club) meetings given by our very own Alan W4ANT. Andrew likes the hands on approach to building kit radios, arduino projects, and antennas. He also enjoys SSB and PSK31 on the 20 and 40 meter bands. Andrew, we are delighted to have you, welcome to the finest contest club in the state of South Carolina! This has been an awesome month for membership, please welcome Tommy Owens KV4TH to our team. He is from Honea Path, SC located in Anderson county. Tommy is new to contesting, but already has a couple of contests under his belt. He has also worked with Kevan N4XL in the ARRL DX contest. He enjoys working SSB on 20 and 40 meters, and is the emergency communications coordinator for the local hospital where he works. Tommy, we are very happy to have you on our team and look forward to working with you, welcome aboard! April has indeed proven to be a busy month for membership applications so without further adieu , we are pleased to announce the addition of two new members. The first is a fellow familiar to some of our members from the upstate, John Colyard W4IX . He is from from the Spartanburg , SC and has years of contesting experience. John was a part of the team that represented SC in the W1AW/4 SC operation, and From what we hear, he racked up some serious Q's. John is also a member of the N4QI contesting team and rumor has it that he believes in maximizing his score and pushing his team to do their best. The next gentlemen is from here in the low country who is very much active in VHF/UHF contesting. Please welcome Mike Abbott KM4ID from Summerville, SC. Mike is quite active in VHF/UHF contesting, and ranks #10 for three band single op. He also enjoys chasing grid squares and is soon going to be getting involved in some EME activity. From what we are hearing from some of the members of the club, each guys are going to be great additions to our team, so it is with great pleasure that we welcome them to the group! Please join us in welcoming our 1st new member of 2015 Kevan Nasan N4XL from Greenwood, SC! Kevan brings 40 years of hamming experience to the club is a very active HF contester. He has been contesting for 15 years, primarily SSB and CW. Kevan also calls a 2 meter net and is a ARES/SCHEARTS operator. He has been working the bigger contests at NQ4I in Griffin, GA and the smaller contests at home. Kevan, we are pleased to have you join our team and extend the warmest welcome! Attention Swampfoxes!! We will be having another meet and greet Saturday, May 9 2015 at 3pm at the Lizards Thicket located in Lexington on US-1 between I-26 and I-20, west of I-26. Dave has made a reservation for the same room as we had before which holds 45 people. As usual, all club members are encouraged to bring your XYL. If you plan to attend, please let Dave NJ4F know so he can get a final head count. We look forward to seeing you there! On US-1 between I-26 and I-20, west of I-26 Looking forward to seeing everyone! As we come to the end of 2014, lets take a pause to look back on an amazing year for the Swamp Fox Contesting club. We started this club in January with only 4 members, and have managed to grow 14 members which is incredible! When we first started this club, we had no idea that the club would grow like it has. Over the course of the year, we have become ARRL affiliated and have secured a callsign for the club WW4SF. We also managed to squeeze in two get togethers, one we met at restaurant in North Charleston, and once at Daves NJ4F's house. A good time with great food and conversation was had by those who were able to attend. For a new club, be sure have made some big steps in the contesting community. We have become recognized and listed as a contesting club with the ARRL, CQ, 3830 Contest Rumors, and QRZ. In the beginning, we intended to participate as a club in the contests sponsored by either the ARRL or CQ. Thanks to our new members, we have become a more diversified contesting club. Now we are getting involved in some of the smaller contests, the QSO parties, and the CW ops Mini tests. As a club, we participated in 22 contests, and that is not including the ones where we only had one or two participants! Many thanks goes out to our club members for all the hard work and support that you guys have put into the club. You have made the Swamp Fox Contesting Club the best club in South Carolina and we are looking forward to another great year in 2015! May the new year find each and every one of you and your families health, wealth, and happiness! Great news guys! Dave has informed me that our new vanity club call has been issued! Our new club call as of today is WW4SF! Well guys, membership is moving right along! This will be the fourth new member this month which is awesome! Please give a warm welcome to Tom Francis W4TEF from Columbia, SC. Tom brings with him a wealth of experience, having operated with the Yankee Clipper club as a multi-multi station, club stations, and single band QRP. He also was active in the recent W1AW/4 operations as a RTTY/PSK31 station and has operated as W1TEF and W4DFG (Dutch Fork Amateur Radio Group) in Little Mountain,SC. Tom is also a member of the SC QSO Party Organizing Committee. Tom, we are very excited about having you on our team and look forward to working with you, welcome aboard! Attention Swamp Foxes! Please join us in welcoming our newest member Bill Chartier N4IQ from Simpsonville, SC. We are now officially a bakers dozen with 13 members! Bill brings years of experience to the group along with a very long list of awards for DXing. Some of his accomplishments include 321 confirmed countries, 8 Band DXCC, 8 Band WAS, Triple Play award, Challenge Award; WPX 700; and various contest certificates. Bill is also an accomplished CW operator and favors RTTY in the contests, which is great news as we love our RTTY tests! Bill, we are thrilled to have you joining our team, and are looking forward to working with you in the upcoming winter contest season! We are delighted to announce that we have two new members joining us today, Ariel Jacala NY4G from Travelers Rest, SC & Barry Brown KK4RXN from Greer, SC. Ariel is an avid DXer and has extensive QRP and contesting experience. From what Alan tells me, he is an expert on Hex beams. Barry has been licensed for a little over a year now, and currently holds a General ticket. He is an active member of his church and gets to travel once in a while on mission trips. Barry also enjoys cars, and experimenting with antennas. We would like to welcome you both to the club, and feel that you will both will be a great asset to our contesting team! Today we would like to welcome our 3 newest members, Gil Huggins KS4YX , Steve Terry W4SLT, and Russ Warmath W4STR, all from Seneca, SC. Gil ran W1AW/4 as a digital station, is active in not only contesting but enjoys VHF rovering and SOTA chasing. Steve enjoys SSB contesting and also holds the call G8OCT in the UK. Russ carries his fathers call, dating back from the late 1930s or early 40's, and is th EC for Oconee County. He is also the RACES Coordinator, and like Gil, enjoys SOTA chasing. We are pleased to have you Gentlemen join our team and represent the great state of South Carolina, welcome aboard! There will be a club get together on Saturday September 6, 2014 at 6pm at the Teppanyaki Grill in North Charleston. The address is 5900 Rivers Ave. They are on Rivers Ave at Aviation Ave, in the shopping center, next to Northern Tool. There is a McDonald's where you turn in. We will be reserving a private room so if you plan to come, please inform NJ4F Dave ASAP so we can get a head count and make a reservation. Dave would like to make the reservation in the next day or two. As of this evening, we have two new members in our club, we would like to give a warm welcome to Dave Edmonds WN4AFP from Greenville, SC and Alan Fitzsimmons W4ANT from Saint George, SC. Both Dave and Alan have an extensive background in contesting and will be a great asset to the club. Alan brings with him 41 years of hamming experience and Dave is also a member of the SC QSO Party Organizing Committee. It is a pleasure to have you guys on our team! Well, the cookout at Dave and Dee's was very enjoyable and a great time was had by all who were able to attend. Dave and Dee made a wonderful lunch for everyone and you could not have asked for better weather. There was plenty of good conversation to go around, and Dave presented us with our new ARRL club affiliation charter. Frank, KG4IGC brought his new Yaesu FT-DX3000 to show the guys, and we also learned a little about using Anderson power poles. We also got to see Dave's new home brew 80/160 receive antenna. We would like to thank Dee and Dave for sharing their home with the club and hosting such a enjoyable get together!! Great news everyone! Just heard from Dave, NJ4F that we have received notification from Norm Fusaro, W3IZ. Our application to become an ARRL affiliated club has been approved! We are now a duly affiliated society! Hear Ye Hear Ye.... Dave NJ4F would like to invite all members of the Swamp Fox Contest Group and their XYLs to a cookout at his and Dees home on June 21, 2014. Arrival time is 4:00 PM and food will be served a little later when everyone arrives. There will be beef and chicken hot dogs and bratwurst , white and wheat bread, with catsup, mustard, mayo, sweet relish, and chili for toppings. There will also be bottled water and tea available. If you would like to bring something extra, I am sure that Dave and Dee will not mind. Just got news from Ron N4VZ that his XYL Kate has passed her Technician Exam at the Dayton Hamfest and is now KM4BKK. Two weeks later, she had her call changed to K4VZT. He also reports that she is already studying for her General ticket. On behalf of everyone in the club, we would like to congratulate Kate on her new ticket and wish her good luck with her General exam. Good Job Kate and look forward to hearing you on the air! We are official! Dave received the new club call KK4ZQM from the FCC! At this time, we would like to welcome our newest member Ron Novak, N4VZ. Ron has a great background in contesting and we all pleased to have you on our contesting team!